The winter of 1774-75 left everyone with the expectation that war was inevitable. Massachusetts had formed its own government beyond the King’s authority. It was training its army and collecting munitions. Gen. Gage in Boston was calling for reinforcements, trying to prevent an outbreak of violence before those reinforcements came. Officials in London were refusing to back down on anything or offer any serious compromise. Further, they were writing letters to Gage demanding that he take action against the rampant acts of treason in his colony. The rebellion clearly seemed to be spreading beyond Massachusetts itself, as was clear from New Hampshire’s military attack on a British fort that I discussed last week. Also in a previous episode, I discussed General Gage’s efforts to develop an effective spy network throughout Massachusetts, including coopting Benjamin Church, a high ranking Patriot leader. The Patriots also developed a pretty thorough spy network of their own. Patriot leaders seemed to be aware of just about everything Gage was doing or even thinking. They often received word of his instructions from London before he did. Much of this was pretty easy since Gage never bothered to arrest any of the Patriots. 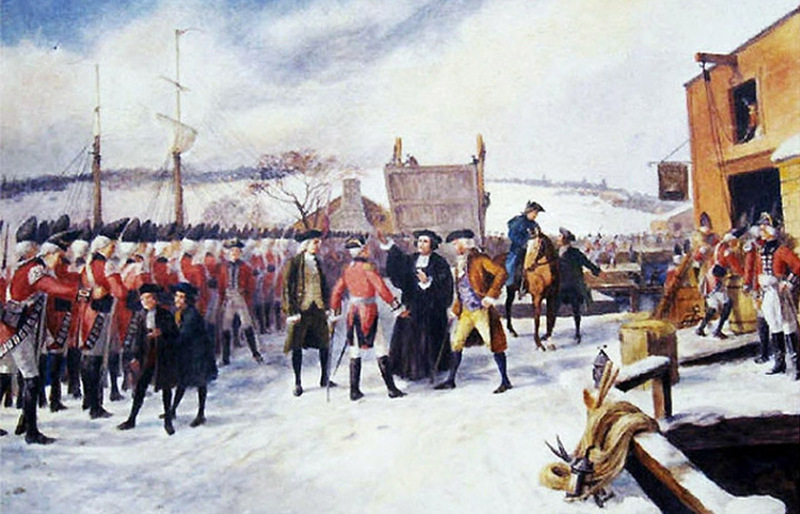 All the leaders, including Samuel and John Adams, John Hancock, Joseph Warren, and Thomas Cushing freely went about their business in Boston, walking right alongside the officers and men of the British army. They only needed to keep their ears open when officers spoke in public taverns, or even in private quarters where servants with patriot leanings picked up useful intelligence. Merchant ships continued to bring word of events in London to the Patriot leaders. Because the patriot forces were dispersed, the big problem was not receiving intelligence but getting out the word when something happened. Joseph Warren and Paul Revere worked to put together a network of messengers, based on the Committees of Correspondence throughout the colony, to create an emergency news delivery system. Revere frequently carried the messages himself getting more familiar with the area roads and his militia contacts. They would put this warning system to the test in February 1775 in what became known as the Salem Alarm, also called Leslie's Retreat. Gage tried to prevent an outbreak of violence before he was ready to deal with it. With the use of his spy network, he was always on the lookout for an opportunity to seize weapons and munitions from the rebels. A ban on imports would prevent them from getting replacements. Disarming the local militia would be the only way to restore order without an overwhelming military force to destroy them. In February 1775, Gage received intelligence that the rebels had a cache of 17 cannon in Salem. Some of these were old cannon. A local artisan was building new carriages so they could be used in the field. Others were some newer brass field cannon that had been imported recently. Two of them may have been cannon that the rebels had stolen from Gage’s guard and smuggled out of Boston. Since Salem was on the coast, Gage could land his soldiers within a few miles of the cannon, and have his soldiers march in to seize them before the locals could respond. He assigned the mission to Lt. Col. Alexander Leslie, and the 64th regiment stationed on Castle Island. That way, no one would be able to see soldiers in downtown Boston preparing for a mission. The soldiers would sail to Salem during the night and take the cannon before anyone could react. That was the plan anyway. Despite the attempted secrecy, Revere got word that something was going on in the harbor. He sent out three men in a rowboat for a closer look. A guard pounced on them as they got to the island and arrested them for trespassing. The men would be held until after the mission was complete. Still, the capture indicated to Revere that the British must be up to something. A ship carrying 240 British regulars left Boston just after midnight on Sunday February 26. Leslie even ordered the soldiers below deck so anyone watching for a passing ship would not see them. By 9:00 AM, they had begun to disembark on a secluded beach near Marblehead, about five miles from their target. They could have sailed closer, but since it took hours to disembark the troops and their equipment, they thought it better to do that away from prying eyes, some distance away. Once underway, the soldiers made no attempt at secrecy. They marched through town, fifes and drums announcing their presence to everyone. Most locals were sitting in Sunday services. Several local militia officers jumped on their horses and hurried ahead of the marching soldiers to warn Salem. Many other civilians began to follow alongside or behind the soldiers to witness whatever they were going to do. Conveniently, many members of the Salem militia were already together in town for Sunday services. They immediately set to work removing all the cannon and other munitions stored in the town, hiding them on distant farms or in the forest. They knew soldiers would not have hours to scour the countryside. To get into Salem, Col. Leslie would have to cross a bridge on the south river. Locals removed the floorboards from the bridge to prevent easy crossing. This slowed the column for a short time, although they were soon able to put down temporary flooring to get across. Leslie’s intelligence told him the cannon were stored at the blacksmith shop just north of town. To get to it, they would need to cross another bridge over the north river. This bridge, however, was a drawbridge, with the controls on the north bank of the river. The column approached the south bank of the river to find the bridge raised. Several locals on the north bank and on top of the bridge taunted the soldiers who could not get across. By some accounts Leslie gave order to prepare a firing line against the locals on the north bank, but backed down when local patriots made clear they knew he would not dare fire. There were a few small gondolas on the south bank of the river which the soldiers might have used to cross. One local jumped into the boats and smashed out their bottoms, scuttling them. When the soldiers tried to stop him at gunpoint, he ripped open his shirt and dared them to fire. One of them pricked his chest with a bayonet, but did not cause any serious harm. The locals were unarmed but clearly defiant and hostile. Leslie and his men were just getting more angry and frustrated. He realized that if someone opened fire, his party of soldiers was surrounded by a hostile population who could immediately arm themselves. The Marblehead militia was already assembling to block his retreat back to the ship. Leslie was determined to complete his mission, but wanted to make sure none of his men would fire their weapons and start something they could not finish. The standoff at the bridge lasted about 90 minutes. As it began getting dark, Leslie informed the locals that he would not leave until he crossed the bridge, and would take over several buildings in town as barracks until his men could cross the bridge. No one in Salem wanted the soldiers around, any more than they wanted to stay. Eventually, the two sides reached a compromise. The Patriots had plenty of time to remove all the weapons and munitions from the blacksmith shop. They told Leslie they would lower the bridge if he promised to go no further than the shop. Since that was his only goal, and he had no inclination to march randomly around the countryside in the dark looking for hidden weapons, he agreed. Locals lowered the bridge, the column crossed and searched the blacksmith shop, finding nothing. A woman named Sarah Tarrant taunted the soldiers from the second story of a house nearby. One frustrated soldier pointed his gun at her. She did not flinch but dared him to fire. Both of them knew the soldiers firing on an unarmed woman would be about the worst thing they could do. Bluff called, the frustrated soldier turned and resumed his march. Because the regulars never fired their weapons, the local militia did not attempt to confront the column as it returned to its ship. Leslie and his men returned home empty handed. The incident made clear that even a short march would not remain a secret very long. The entire population was on high alert for any military activity. The people were willing to oppose and provoke the soldiers, though they still had not been willing to bear arms against the regular army. The Salem Alarm was one of several flashpoints that could have started the war. But cool heads on both sides kept it from starting that day. A few weeks later, on March 6, 1775 Boston held its annual commemoration of the Boston Massacre. Joseph Warren gave the oration, John Hancock, as well as Samuel and John Adams, attended along with other patriot leaders. Also in attendance were a number of British officers who hissed at all the lines when the crowd applauded. 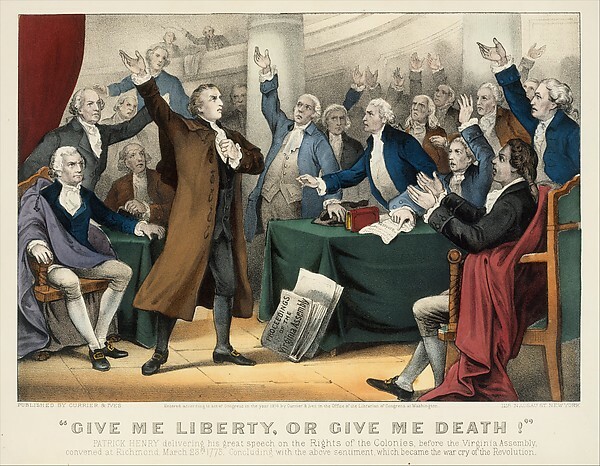 As the meeting adjourned, some of the officers began shouting “oh fie” an 18th century equivalent of “boo”. Some in the crowd though they were saying “fire” and that it was a command to fire on the crowd. Terrified locals rushed out to the street. By coincidence, a British column of fife and drums came marching down the street at that same moment. Many thought the army was coming to arrest the leaders, resulting in even further panic. The incident came to nothing. But it is evidence of the tensions created by the army and Patriot leaders living side by side in the same town. Still, Revere and his men kept a close eye on all movements. His group met in secret and discussed anything anyone had heard that could be of use. They were also aware that the British seemed to know everything they discussed. Revere went to great lengths trying to find the mole in his group, but never could find one. There wasn’t one. One of few Provincial leaders privy to all of their work was Patriot leader Benjamin Church, still working as a paid agent for Gage. Copies of everything they revealed to the Patriot leaders went straight to Gen. Gage as well. Through the winter, and despite tensions, Patriot leaders had remained in Boston. The Provincial Congress continued to meet in Cambridge, just across the river, without any interference from Gage. Civilians continued to go about their business, entering and leaving the city at will. Soldiers regularly made short forays outside the city, simply marching around the countryside and returning home. The main point seemed to be to keep the locals off guard, getting used to the idea that most marches were pointless events. On April 7, Hancock and Samuel Adams suddenly packed up and left Boston for Lexington. A few days earlier, the Provincial Congress in Cambridge adjourned and agreed to resume business farther away from Boston in Concord. 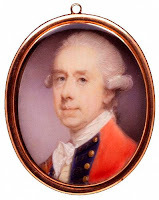 On April 14, 1775 Gage received Lord Dartmouth’s January 27 letter that I discussed a few episodes back, telling him to arrest the patriot leaders and begin to take decisive action with the soldiers he had on hand. The Patriots had received word on a ship from London that landed in Marblehead on April 2, that Gage would receive these instructions. This explained why everyone was moving away from Boston. Gage now understood that he would need to get more aggressive and that there was no point in waiting for reinforcements that were not coming. Despite his orders, Gage took no immediate steps to arrest anyone. Several prominent Patriots, including Joseph Warren and Paul Revere remained in Boston, moving about freely, keeping an eye on British activities. On April 8, Revere rode out to Concord with more warnings and to discuss plans to hide their armaments. On April 10, Gage sent a few companies of soldiers on a march out to Watertown. This seemed to be just another effort to keep the locals off guard to marches through the countryside. It seems clear that his plans for Concord were well underway even before he received Dartmouth’s letter on April 14. His goal remained the seizure or destruction of munitions at Concord, not the arrest of any leaders. We have already seen numerous acts of war in New England, the sinking of the Gaspee in Rhode Island, the Assault on Fort William & Mary in New Hampshire, the numerous Powder Alarms in Massachusetts. But without the hindsight of seeing how they let to all out war, they could be seen simply as acts of violence or rioting, not revolution. I’ve already discussed at length the widespread support in Massachusetts for the Provincial Congress, which was a government completely separate from the Royal Government. This was an extremely radical step, considered an act of treason back in London. One could argue that Parliament had forced Massachusetts into this step when it passed the Government Act several months earlier. Other colonies, however, began to stake similar steps. Rhode Island and Connecticut already had locally elected governors and legislatures who were friendly to the Patriot cause. They had no need to set up separate governments or militia. Maryland delegates met in a Provincial Convention, which operated as an independent government, meeting three times in 1774, and more in 1775, to make decisions for the colony without any input from the royal government. North Carolina created its first Provincial Congress in August 1774 to select delegates to the First Continental Congress, against the orders of its royal governor. It also passed a list of resolves objecting to the Coercive Acts and supporting a boycott. In July 1774, when South Carolina created an extra-legal committee to select delegates for the First Continental Congress, it also created a Committee of 99 to run local affairs since the royal governor would not allow the colonial legislature to meet. In November, the Committee called for elections to Provincial Congress of South Carolina, which were held in December. The Provincial Congress met in January. Like Massachusetts, South Carolina’s Provincial Congress began setting up militia units independent of the royal government, training soldiers and collecting munitions and supplies for war. Even Georgia, which had skipped the First Continental Congress, formed its own Provincial Congress in January 1775 to select a delegate for the Second Continental Congress. It did so in opposition to its royal governor. Three of the more reluctant colonies on this growing divide were New York, New Jersey, and Pennsylvania. None of these had created Provincial governments nor independent militia prior to Lexington. New York’s legislature even passed a resolution rejecting the First Continental Congress’ proposal for a boycott of British goods. These large mid-Atlantic colonies certainly had significant patriot movements in them, with Sons of Liberty organizations and radical committees pushing the Patriot cause. But before the outbreak of hostilities, these colonies overall seemed the least willing to join in the movement, or at least not organized or powerful enough to bypass the loyalist governments still controlling the colonies. Even with all these colonies prepared for an armed struggle, the vast majority of Americans did not seem ready to contemplate complete independence from Britain. Many still seemed to think that they could effect reforms in London that would put things back to the way they were. Even so, a growing number seemed to view the colonies not simply as an appendage of the British Empire with certain rights, but already as a separate country. 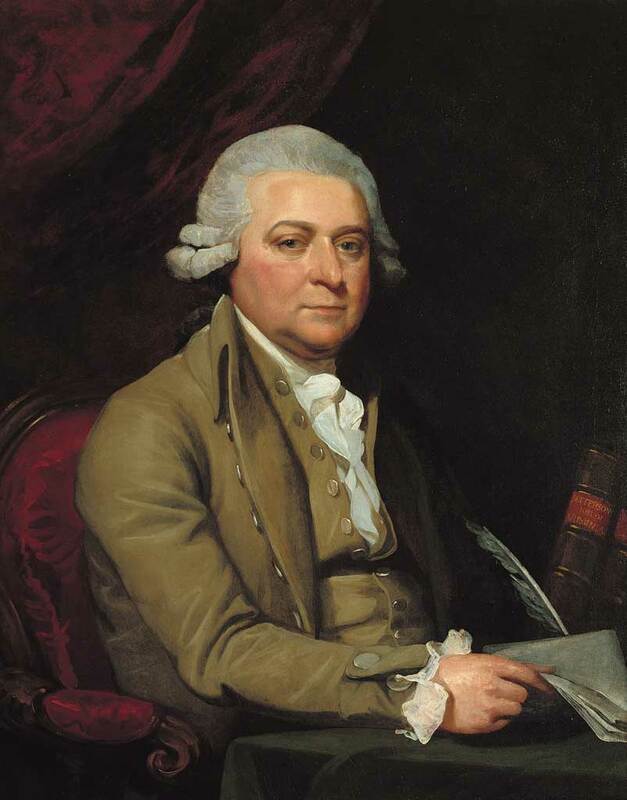 In February 1775, John Adams, writing under the pseudonym Novanglus argued that the colonies should operate as separate countries, united only by the King, just as Britain and Hanover were operating at the time. Essentially the colonies would be independent countries within the British Empire. Even committed Loyalists understood that war was inevitable and that opinions had grown too far apart for any compromise acceptable to both sides. 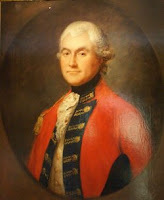 Royal Governor of New Jersey, William Franklin commented that colonial views were so divergent from those in London that the Parliament would either have to consent to humiliating terms, or use military force to compel obedience. 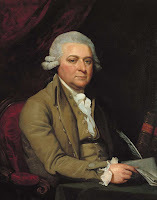 Even a moderate author who published an article in Massachusetts on April 7, 1775 still seeking a compromise, signed his letter A Friend to Both Countries implicitly conceding that Massachusetts and Britain were at this point separate countries. In their thoughts, words, and deeds, many colonists were moving to the understanding that the colonies and Britain had become fundamentally different. Many saw themselves as allies of the British, not subjects. They further seemed to understand that their view would not remain unless they were willing to spill blood to defend it. Next Week: Gage prepares to deploy his soldiers to Concord and Paul Revere rides out with his famous warning. Adams, John Novanglus, and Massachusettensis, Boston: Hews & Goss, 1819 (political essays from 1774-75). Dana, Elizabeth Ellery (ed) Barker, John John Barker diary - The British in Boston, 1774-1776, Cambridge: Harvard Univ. Press 1924 (Barker was a British officer stationed in Boston). Endicott, Charles Account of Leslie's retreat at the North Bridge in Salem, on Sunday Feb'y 26, 1775, Salem: Wm. Ives & Geo. Pease, 1856. Gage, Thomas General orders for British regiments encamped at Boston Dec. 1774 - June 1775, Unpublished Manuscript, 1775. Hoffer, Peter Prelude to Revolution: The Salem Gunpowder Raid of 1775, Baltimore: Johns Hopkins University Press, 2013.